Seeing is Believing - A Picture Says It All! 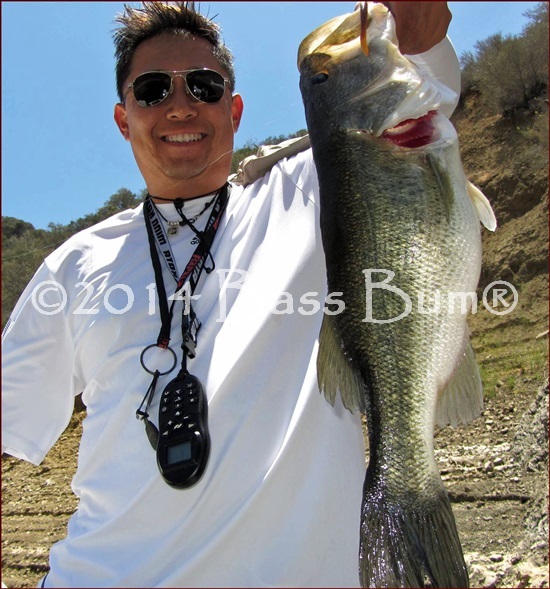 REMINDER - You will notice that many photos in this gallery of bass fisherman pictures show bass being held upright by the lower jaw. It's far better to also hold them with one hand under the belly. This is especially true with "hawgs" like the two in the first two pictures below. This prevents damage to the jaw. Should damage occur it will very likely inhibit the fish's ability to feed and it will ultimately die. 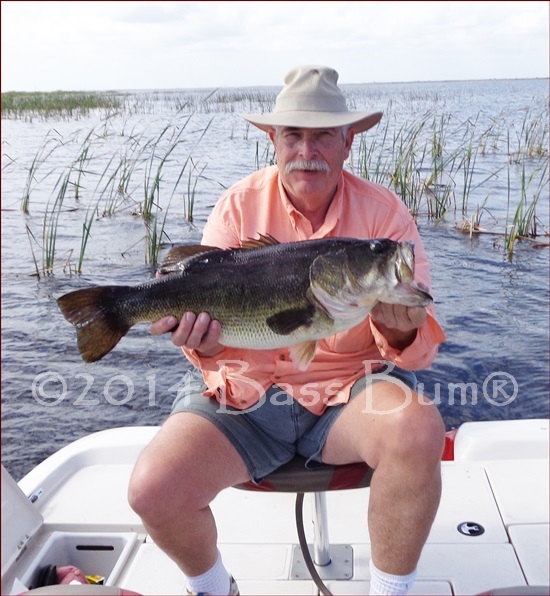 Randy caught this 11lb giant on a Zoom, 10", watermelon red worm. He pulled her from a grass shoreline in the middle of the day. His first 11lb bass he points out. 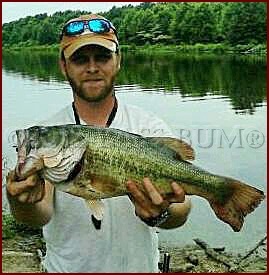 This 7lb 13oz largemouth fell victim to a shallow running Shad Rap in warm July water. She came out of a private, non-managed 56 acre lake. 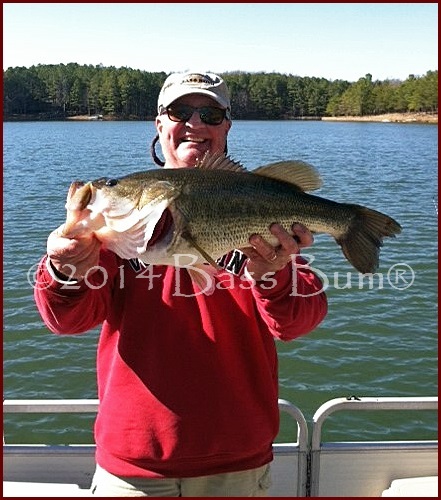 Nic caught this 25", 8.1lb largemouth in April in a small public lake. He was using a Yozuri, shallow diving crankbait mid morning. Water was cold, below 45 degrees. 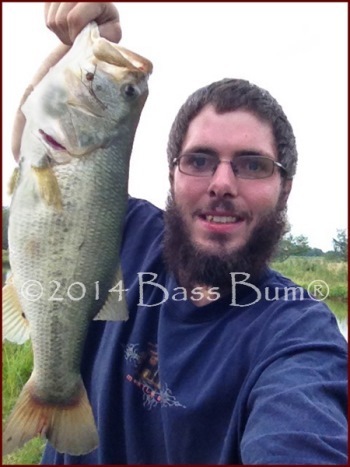 Shane didn't tell the size or weight of the nice largemouth bass. But the picture says it all. 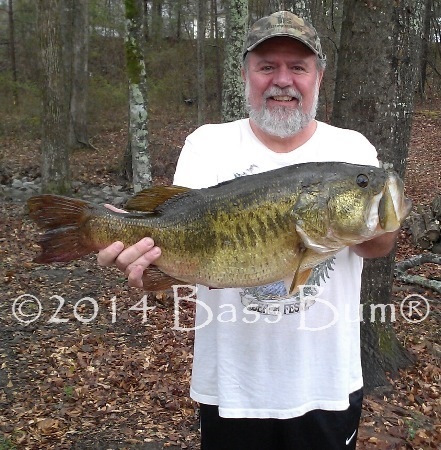 He caught her on a Zoom 10" Curl Tail worm. Steve likes his lady bass with a little meat on them. He hooked up with this 11lb beauty inside some mid lake weeds in a private lake. She was 25" long with a 20" girth. Lure? A Blue Fox Vibrax #3 on an ultralight rig and 4lb test mono! Tony tricked this girl with a Don Iovino Honey Combed worm paired with a 2/32 tungsten nail weight. It was a warm June, late afternoon and 71-80° water. She came off a bluff on Lake Castaic. 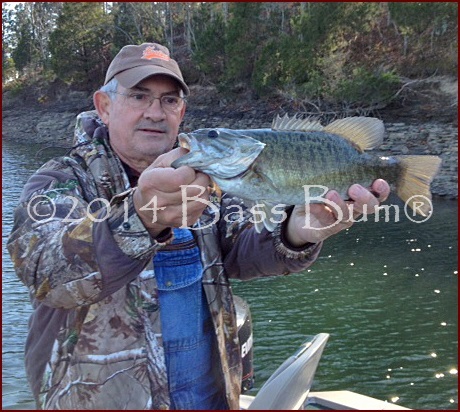 Bill caught this nice Dale Hollow lake smallmouth bass in November. Caught her on a shiner. What a face! Fantastic! 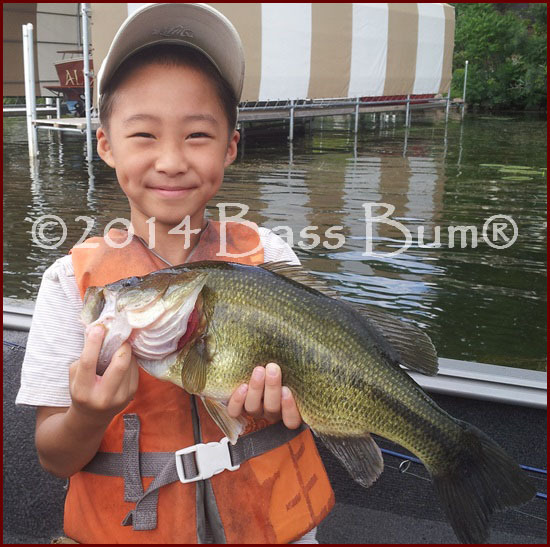 Adam is a budding bass fisherman as evidenced by the 3.75lb largemouth bass he holds. Caught in 4 feet of water just outside a weed bed out of North Arm Bay, Lake Minnetonka. In August. 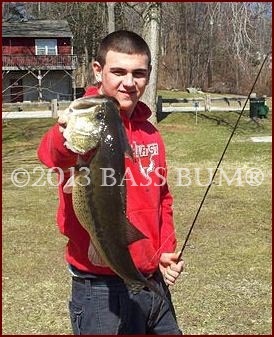 Tyler pulled this nice 4.5lb largemouth bass from a local farm pond. She fell for a Wacky rigged, Strike King, red and yellow flecked worm. Caught it July, early evening, in 80° plus water. 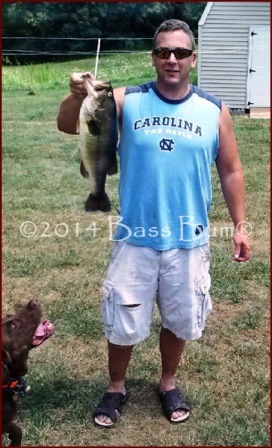 Another farm pond bass caught in July but in early morning hours when water was a bit cooler, 66-70°. Mark pulled her from the pond with a watermelon, black flecked Senko rigged Wacky.